Actress Minnie Driver attends Variety and Women in Film Emmy Nominee Celebration powered by Samsung Galaxy on August 23, 2014 in West Hollywood, California. Minnie Driver accessorized with a pair of dangling gemstone earrings for a more glamorous finish. Minnie Driver attended the Variety and Women in Film Emmy nominee celebration wearing a simple straight hairstyle. 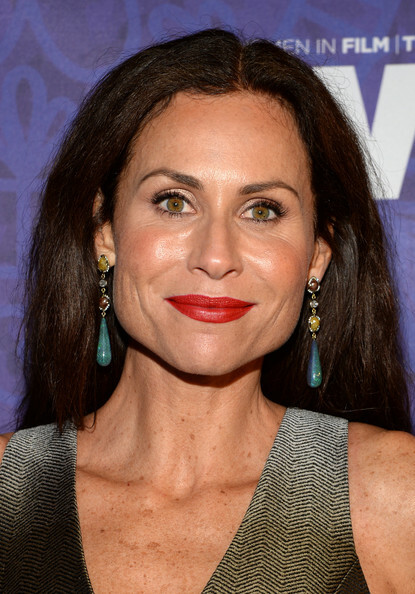 Minnie Driver swiped on some bright red lipstick for a vibrant beauty look.